Fork and Spatula with wooden handles. 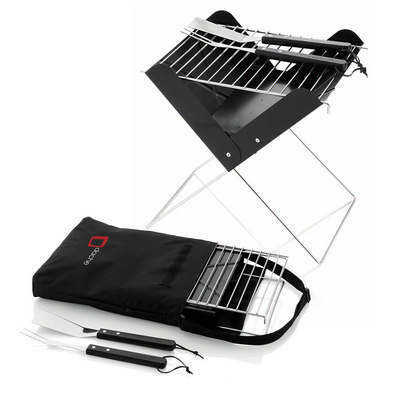 Foldable BBQ. Carry bag. Product Size: 330 x 65 x 360mm. Decoration Size: 230 x 190mm. Decoration Position: Bag. Decoration Method: Screen Print | Laser Printing. Carton Quantities: 6. Carton Size: 35.5 x 31.5 x 45. Carton Weight: 14. Colour: Black/Silver. Price includes: See drop down menu for decoration options.